"When I dream of an afterlife in heaven, the action always takes place in the Paris Ritz." The Ritz Hotel Paris first opened in June 1, 1898, created by the visionary hotelier, Swiss-born Cesar Ritz. It was his dream to open a hotel that would attract the rich and the famous, a place where they would feel at ease, at home, and comfortable. 114 years later, after being open non-stop since day one, through depressions and two world wars, current Ritz owner Mohamed Al Fayed had an epiphany. "I want the Ritz to remain the best hotel in the world." To do that, the Ritz would need a massive makeover. Al Fayed said to the designer, "If you mess up, I'll kill you!" 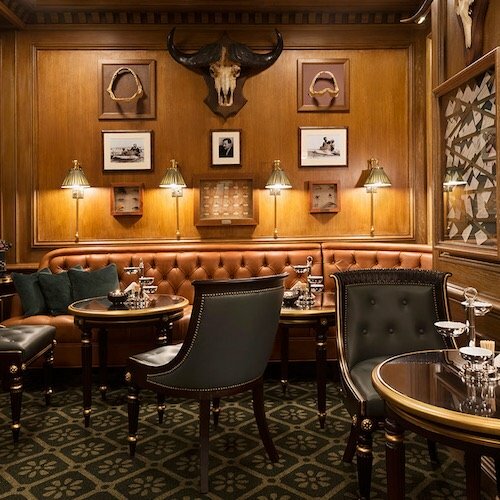 It's a relief to find that designer Thierry Despont has refurbished the historic hotel while maintaining its traditional 18th-century French décor — now with a lighter, fresher feel. Here's the story of the Ritz, its owner, its myths, its legends and its future. 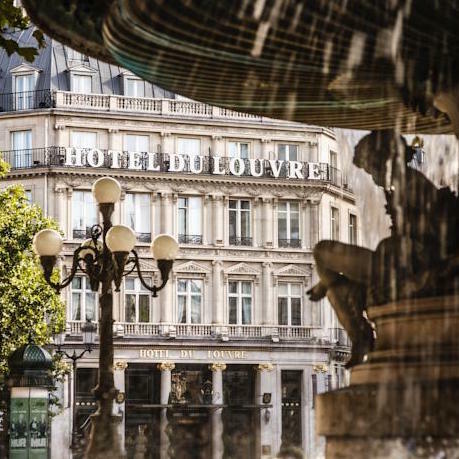 The stuff of Paris legend — a staff of 600 chefs, cooks, concierges, sommeliers, voituriers (drivers), maids, room service, and laundry, all with an amazing esprit de corps makes things fit for a king. 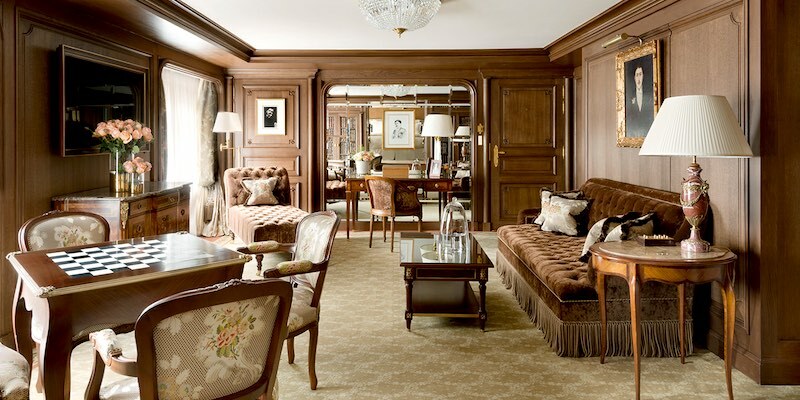 Add to that its rich history and the newest incarnation of the Ritz Hotel in Paris is, indeed, a special place. The impression when you first enter the Ritz is like stepping into, not so much a hotel, but an aristocratic residence from a forgotten era. Don't get us wrong, we do like the newer high-end Palaces and 5-star hotels in Paris; they are serious rivals for luxury and comforts. 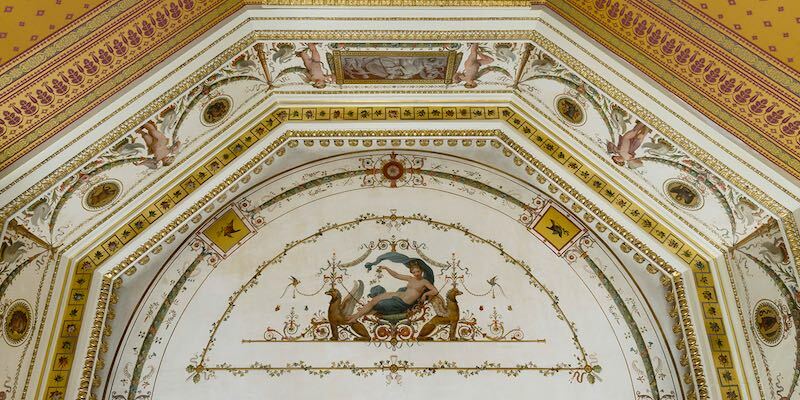 But they cannot match the unique thing the Ritz has in abundance — the patina of history. Most of the $450 million put into the renovation is unseen, like the new electrical, plumbing, heated floors, and other modern comforts and technology. Televisions are hidden in mirrors, electrical plugs are concealed, and touchpad controls added to allow guests to monitor the room's air conditioning and heating. The number of rooms and suites has been reduced to 142 from 159 to allow for more storage and spacious bathrooms. The gilded-swan taps stayed, as did the peach-coloured towels and dressing gowns that César Ritz personally chose to universally flatter women's complexion..
A new, glass-covered courtyard now stretches from the Bar Vendôme, alongside restaurant l'Espadon with a fancy, retractable roof that makes it a year-round usable space. 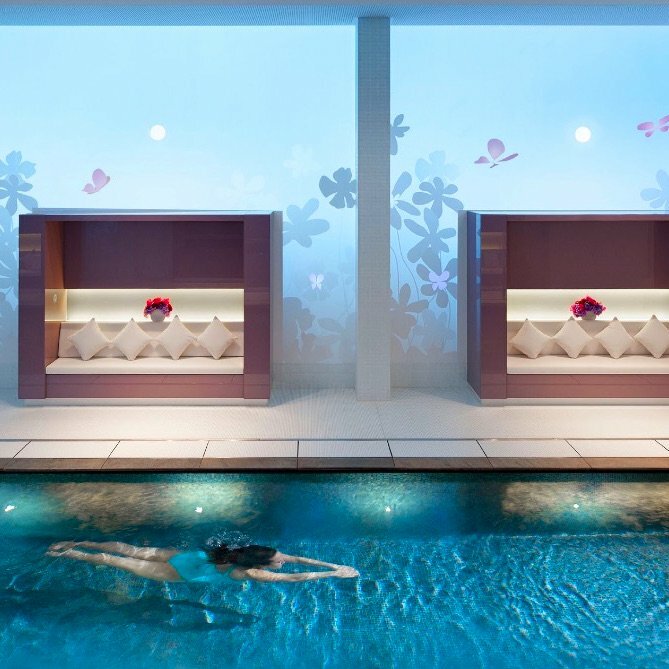 Also new is the world's first Chanel Spa, a ballroom, a 21,500-square-foot Versailles-type garden, and Salon Proust, where guests can take afternoon tea. The decision to renovate the hotel was made in 2012, when the Ritz Hotel Paris failed to meet the exacting standards to qualify for a Palace status. 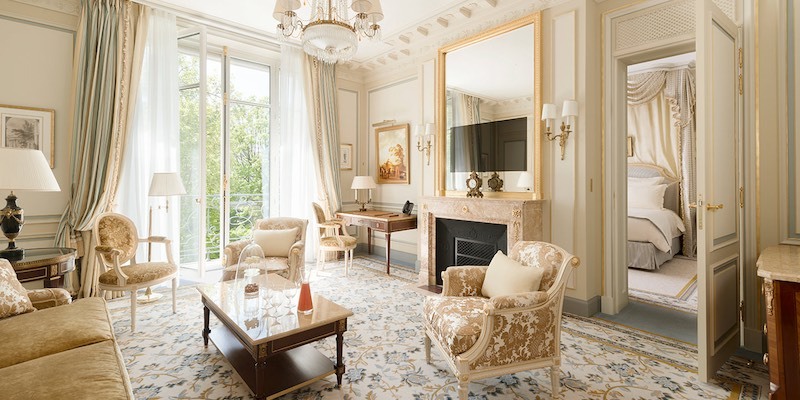 "Modernized, but with discretion," is how the Ritz Hotel Paris describes their spectacular four-year, multi-million euro renovation. Much like how a person of a certain age approaches plastic surgery, the Ritz envisioned its own makeover more Jane Fonda than Renee Zellweger. 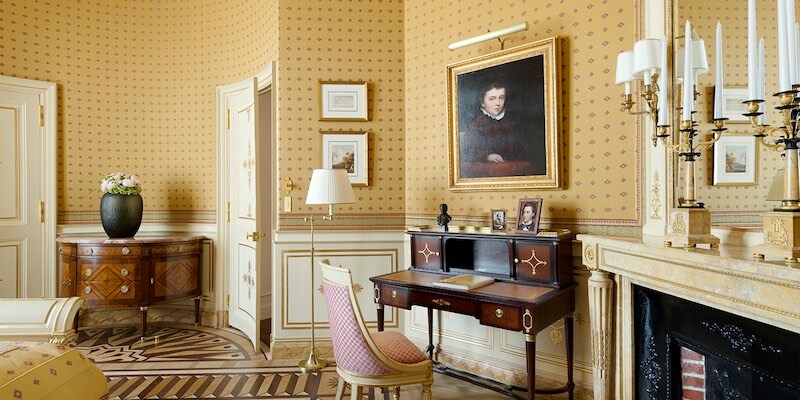 French-born designer Thierry Despont wanted to elevate the Ritz by adding more light and more flourish. He raised the ceiling in the entrance and opened the mezzanine level windows to let light pour in from the Place Vendôme. 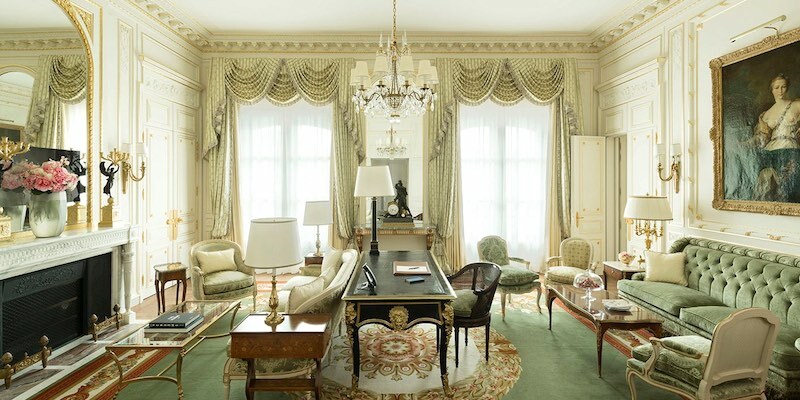 But, overall, he was adamant about keeping the changes subtle changes, to honor the history of the Ritz Hotel Paris. The changes are, in fact, quite subtle. The signature gold-and-blue palette is unchanged, but tweaks to the limestone landmark make it… "sparkle", would be the word. Although most of the original classical and Empire furniture, period paintings, glass chandeliers, damask curtains and embroidered bedheads were kept and restored, the budget ballooned like the Sun King's Versailles. What started out as a $200 million budget soared to $450 million. 800 stonemasons, upholsterers, gilders (craftsmen who work with gold and metal leaf), and woodcarvers worked around the clock. But as in life, it didn't always go according to plan. The fire didn't help matters. When the Ritz closed in August 2012, we were told that the hotel would re-open in November 2014. Then it was 2015. Then it was finally set to open in March 2016. But more delays, including an unexpected electric fire that almost destroyed the roof, set back the opening by three months. The grand reopening was on June 6, 2016, five days and 118 years after its first opening. The original renovation budget was estimated at $160 to $200 million. The final tally, according to the The Washington Post, was a dazzling $450 million. Egyptian businessman Mohamed Al-Fayed, who has owned the hotel since 1979, said that the renovation was done to maintain the position of the Ritz and with hopes that it will be added to the ranks of prestigious Palace hotels in France, the highest rating a hotel can achieve. 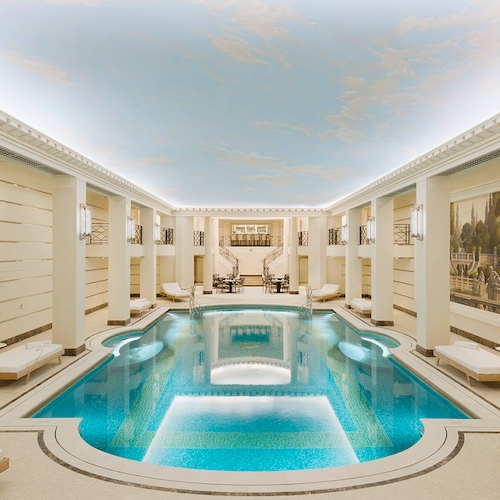 The Ritz Health Club has been renamed the Ritz Club Paris, and is now the city's best health club, with a restored, stunning Art Deco swimming pool. The stodgy, long, mirrored shopping gallery is now more fashion-forward with a Ritz Paris concept store for travel-themed gifts. Hemingway would be proud. 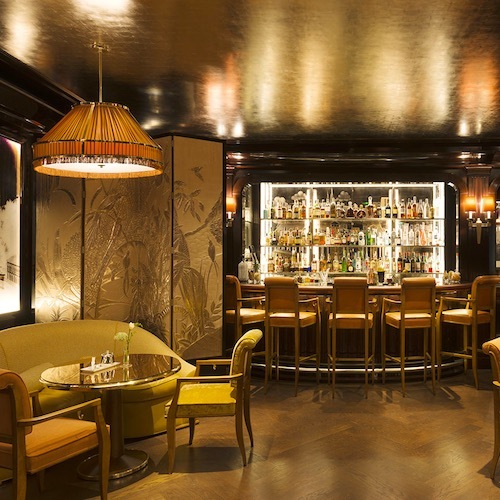 The beloved Bar Hemingway has been refreshed, but not changed too much. His bronze bust is still there, along a new green carpet that looks a lot like the old one. One positive addition is that the historic bar is now filled with authentic Hemingway memorabilia, including his fishing rods and passport photos. Le Garden. The hotel always had its own private garden space but designer Despont thought it was like an "uncut diamond". He enlisted the help of French landscape architect, Jean Mus, to turn the uncut diamond into a mini-Versailles. The garden oasis is planted with two dozen linden trees, hanging ivy and beds of white roses. One of the few completely new rooms, the Salon Proust is an elegant backdrop for a distinctly French afternoon tea, with biscuits, tarts and madeleines de Proust. Order Le The a la Francaise — The Royal Tea — and it comes with a coupe, a glass of Ritz champagne. Open 2:30 PM to 6:00 PM. The gourmet restaurant serves breakfast, lunch, dinner and weekend brunch. There's both an exterior garden space, Les Jardins de Espadon, under the atrium and in the garden, and La Table de Espadon, the stunning interior dining room. The restaurant's name, l'Espadon, or "the swordfish", was announced in 1956 and paid homage to Hemingway's The Old Man and the Sea. Don't let the word "bar" fool you. Bar Vendome is actually more Paris brasserie than a bar serving only drinks. Underneath a retractable glass canopy (it opens on sunny days) you can dine here morning, noon, and into the wee hours of the night. 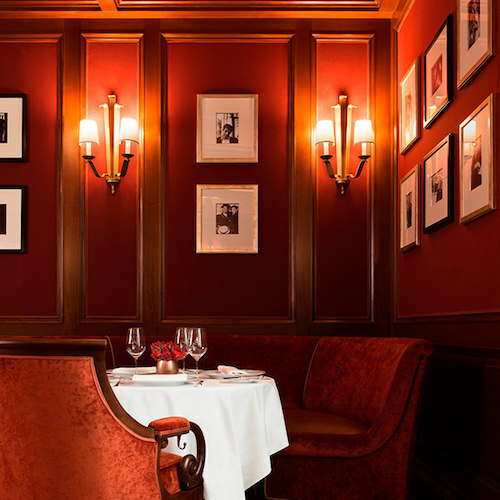 You might not expect it, but the Ritz Bar is a casual place to cozy up for a glass of wine, cocktail, light lunch or appetizer. We recommend their daily specials — Thursday is duck confit day with garlic fried potatoes. We also like the salad Niçoise, smoked salmon with horseradish cream sauce, and their signature drinks. Choose from The Ritzy Jasmin, Cuban Mashup, New York Melody, So British, or the Ritz Manhattan (€68) with 1990 Macallan scotch, red vermouth, and bitters. 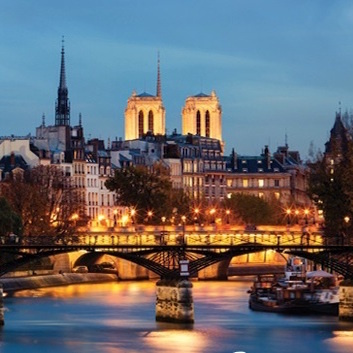 Looking for a classy Paris Insider secret? You can have a Ritz experience without breaking the bank. The daily specials run about 30 euros. Skip the Ritz Manhattan and you'll do fine. Open from 11:00 AM to 2:00 AM. César Ritz practically invented the luxury hotel, so it's no surprise that the rooms at the hotel he founded would be drop-dead gorgeous. César was a man of humble origins who started in the hotel business at the age of fifteen. As he worked in hotels across Europe, he dreamed about building the ideal hotel where the rich and famous would feel at home. He had to wait until he was almost fifty years old for that dream to come true. That's when he opened the Ritz Hotel Paris on Louis XIV's Place Vendôme in 1898. The Ritz was the city's first hotel to have elevators, electricity, telephone, and en-suite bathrooms. The high standards and opulent settings were revolutionary for the time. Monsieur Ritz single-handedly created the standards for what we now think of as a luxury hotel. As soon as he opened on the Place Vendôme, César Ritz attracted an A-list of literary, artistic and aristocratic personalities staying at his hotel — all of whom left their own mythology. Coco Chanel lived at the Ritz for 34 years from 1937 to 1971. Marcel Proust adored dining alone here and wrote in bed ensconced in the hotel. On his death bed, Proust would ask for cold beer to be sent to him from the Ritz. The Duke of Windsor and Wallis Simpson loved to stay at the Ritz Hotel. Their portraits now hang in the Suite Windsor. Ernest Hemingway claimed to have liberated the Ritz (or at least its bar) in 1944. During World War II the Nazis commandeered half of the Ritz, settled into the suites, ate all the foie gras and luxury foods, and drank all the champagne and fine wines. Diana, Prince of Wales, had her last meal at the Ritz (a mushroom and asparagus omelette and dover sole & asparagus) and her last photo taken here on August 31, 1997. 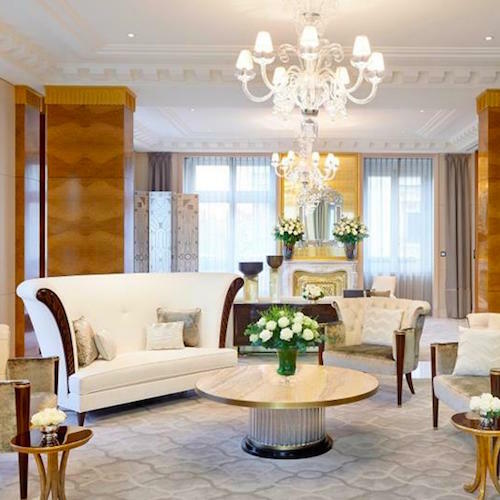 With the completion of the renovation, the Ritz Hotel Paris is determined to gain Palace status in the competitive world of French luxury hotels. 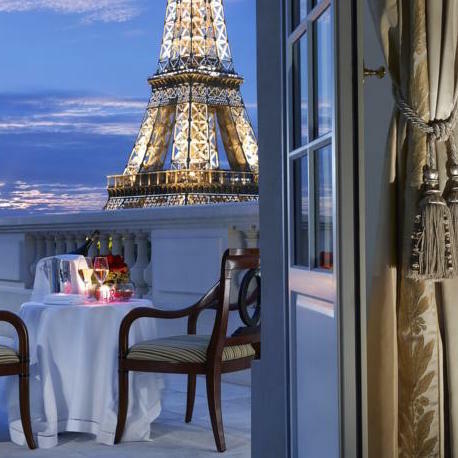 There are only eight or nine government-designated Palace hotels in Paris, including Le Bristol, George V, Le Meurice, Plaza Athénée, Le Royal Monceau, Shangri-La and the Mandarin Oriental. 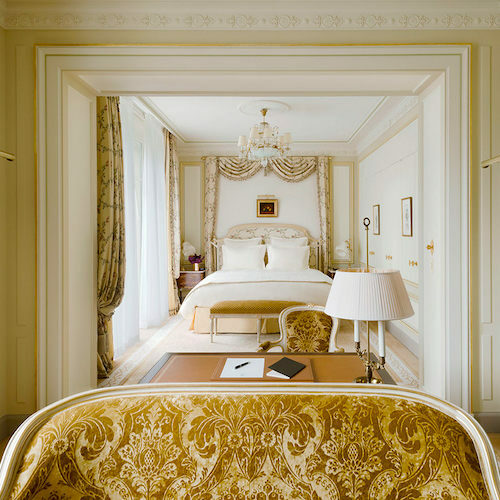 Unlike some of the Palace hotels — the Philippe Starck modernity at the Raffles Royal Monceau and the redesigned Plaza Athénée come to mind — the Ritz feels as if it was never away. It's the tasteful details that make you feel as though you are truly living in a palace of luxury. 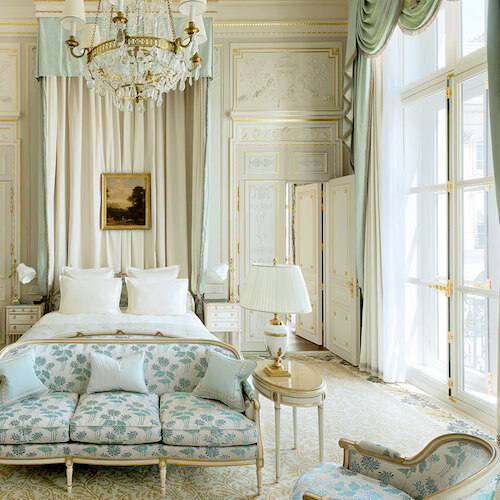 Will the Ritz Hotel in Paris be added in 2017? We predict it will. Check back soon! 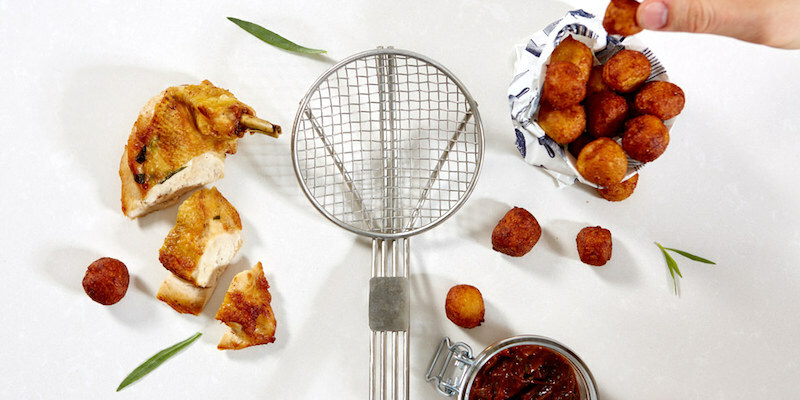 "Good cuisine is the basis of true happiness," said Auguste Escoffier. 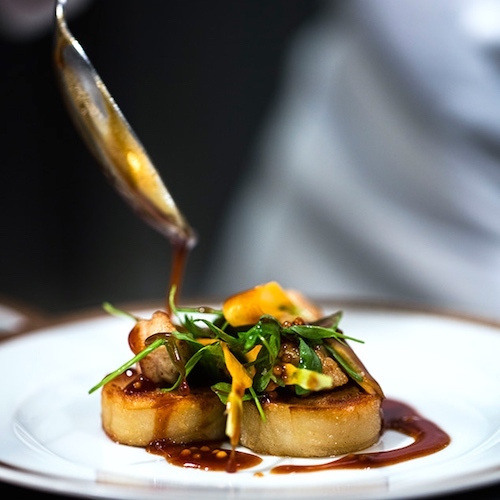 Named for its first chef, the godfather of French cuisine, the cooking school based at the Ritz caters to both professional and amateur cooks. The school been enhanced with new demonstration kitchens. 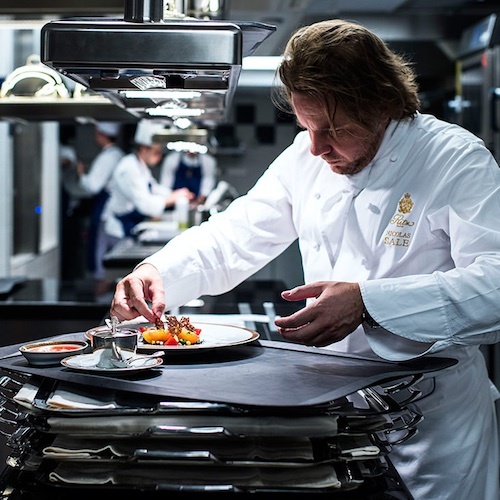 If you love to cook, and you love luxury, you'll want to book an amateur cooking class in the kitchens of the Ritz. We've done it and it was a great experience. There are a range of three-hour courses offered in English — Haute Couture Cuisine, Chef's Top Techniques, Pastry Making, Bistro Mania, Regional Cuisine and others.